First things first, a little background: TonyMoly is an inexpensive Korean brand. I believe that they have a few shops in North America, but chances are you're going to end up ordering this product off the internet if you decide you want it. I got mine off eBay for about $7 - you can also get it from the Urban Outfitters website for $14. That long black thing sticking out of the cap is a brush. The built-in brush makes this much more convenient for travel, but I have sort of mixed feelings about it. Not so bad if you're going for a thicker line, actually. But I think I'd bust out a different brush for more subtle, precise looks. OK, so it's not totally smudgeproof. But it held it's ground pretty well considering how vigorous I was being with my strokes. Lesson: Don't rub your eyes while you're wearing this! I've worn this a few times now, and I find that it fades a little bit by the end of the day, but for the most part it remains intact. I also didn't experience any weird smudges/flakes or "panda eyes" from normal wear. Bear in mind that my eyelids are not especially oily, so I don't know how this would fare on oilier skin. 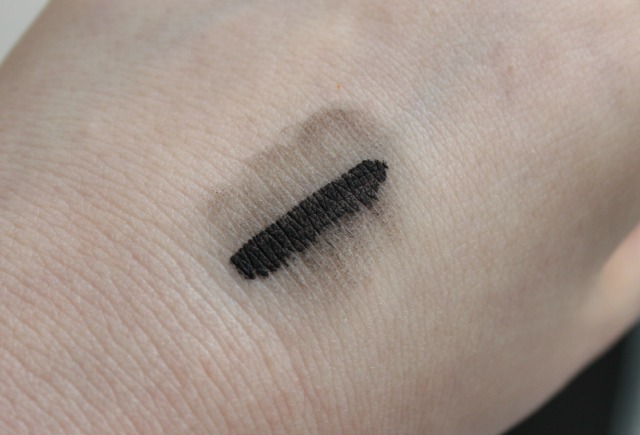 Because of its water-resistent nature you will likely have trouble getting this off with regular washing, but when I used my normal makeup remover (Neutrogena Oil-Free Eye Makeup Remover) it come off easily and without incident. 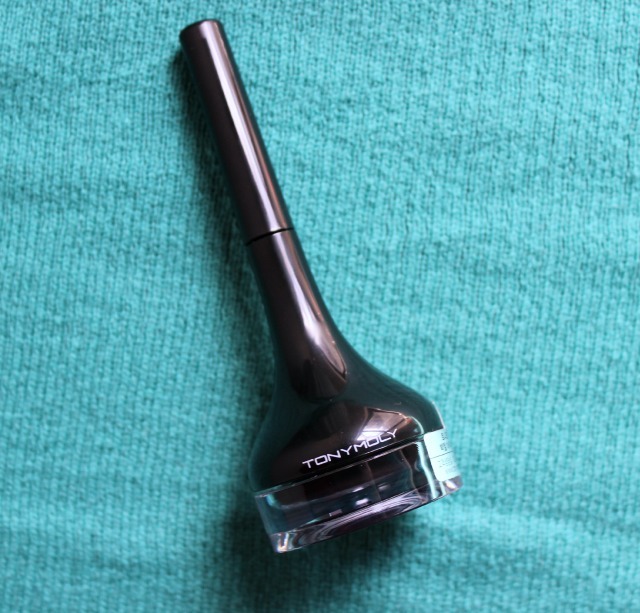 I think TonyMoly Backstage Gel Liner has an excellent formula and it's something I will definitely incorporate into my regular makeup routine from now on. The included brush is handy and actually pretty decent, but for finer lines you'll probably want to use a different applicator. As I said above, you can get this off the Urban Outfitters site for $14. But if you want a better deal, head over to eBay - I got mine from cosmeticmarket2012 for a mere $7.33 shipped. I've ordered from that seller several times and they seem to be reputable, plus they always include samples with your order, so I'd recommend them. 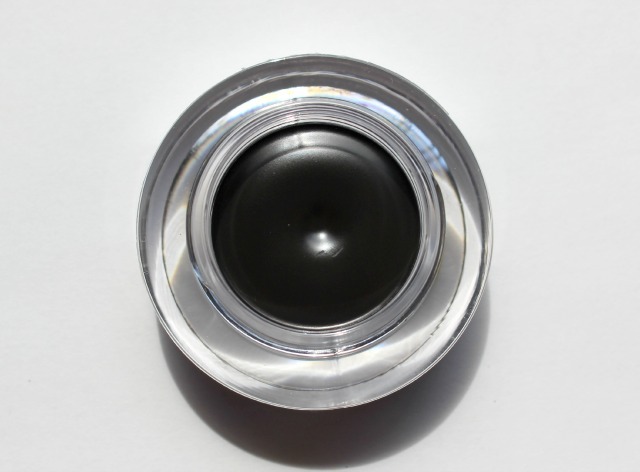 FYI, this eyeliner comes in several shades, so make sure to double-check which one you're ordering if you're doing the eBay thing! 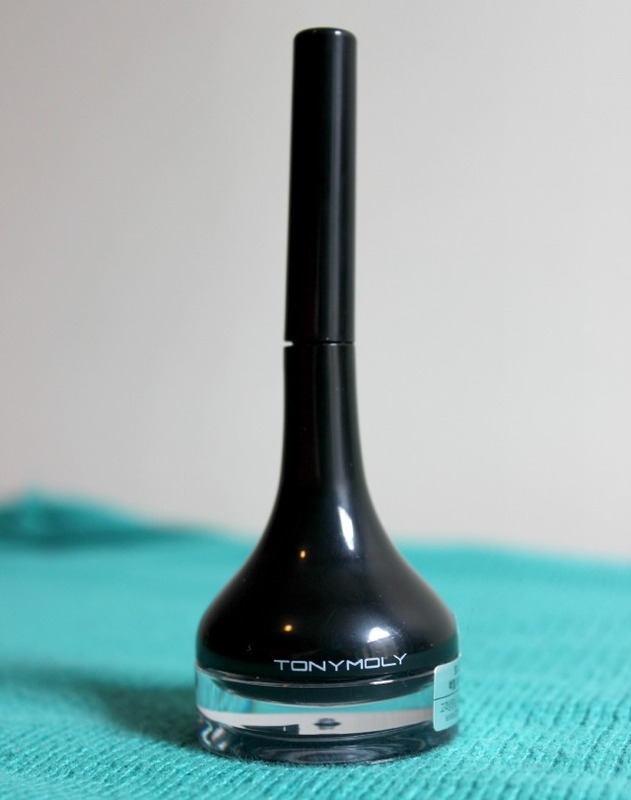 What do you think of TonyMoly Backstage Gel Eyeliner? 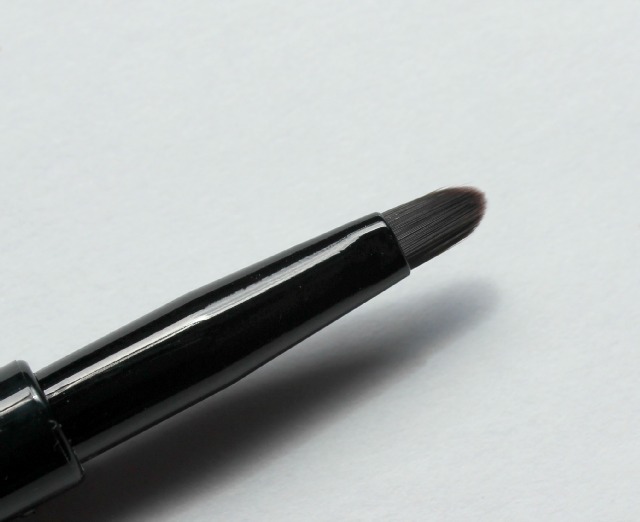 What's your favorite waterproof eyeliner? This a great rich black. The brush scares me but you you did an amazing job if you applied and winged your liner with it. I will let you know if I have any luck with my winged liner. Reminds me of a LORAC Pro Cream eyeliner I have, though the pot shape is a little different. 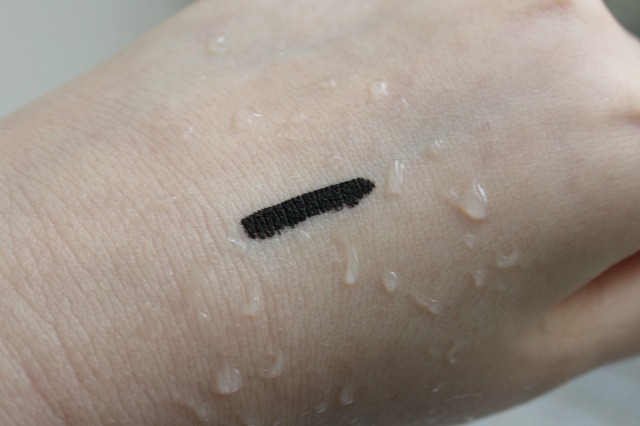 The quest to find the perfect waterproof eyeliner is neverending. Best of luck in your epic quest. Would you recommend the LORAC liner? I haven't used tons of gel/cream liners because I'm more into liquids. Mmm, liquids. They retail for about $19.00, although I got mine on sale. I would recommend the formula; it's super smooth, creamy and long lasting, but the brush built into the cap (same as the TonyMolly) is rubbish. $19 isn't too bad. Though I'm liking that my new friend TonyMoly is under $10. That makes my wallet sing. I've heard so many good things about this product and I think you just sold it to me LOL. Haha yes, glad to enable! I'll be curious to see if you like the brush or not. Seems like people have mixed opinions about it. Hmm that's strange. I'll definitely pay attention and see if it starts behaving oddly as time goes by! 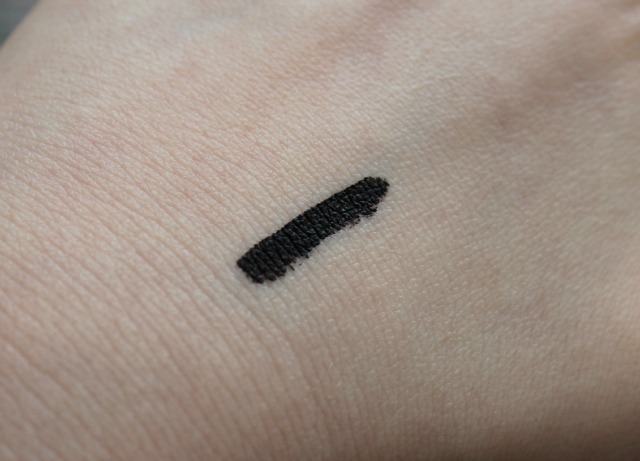 I recently bought this eyeliner from Urban Outfitter because they had a 20% beauty item sale. I wore it the other day and sadly, it smear on me within a couple of hours. I heard ton of great reviews! Maybe I'll give it another shot? I find that this only smudges a little bit on me, but my eyelids aren't oily. I could see it being more smudge-y if you have oily eyelids though. Maybe it's worth another try? I hope it works out for you! Weekly Poll: What's Cookin', Good Lookin'? My Weird Wishlist: Beauty... IN SPACE!! !